Teresina is the capital of the State of Piaui, Brazil. It is a hot, sleepy, unpretentious town. It is known as one of the hottest cities of Brazil, and is also an important center for hospitals and other health-related institutions. Formerly called Nova Vila do Poti, Teresina replaced Oeiras as capital of Piauí in 1852. The city was named after the Brazilian Emperor's wife. To Piripiri by Guanabara, 5 daily, 3 hours, R$ 26. To Parnaíba and Luis Correa by Guanabara, 5 daily, 6 hours, R$ 45. Our social programs are focused on integration to our local culture. 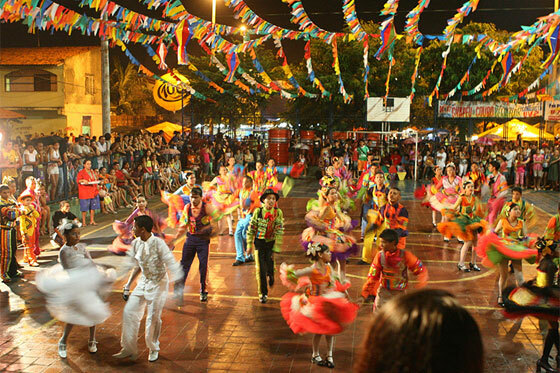 Those parties happen all over the year and are a great oportunity to socialize and meet locals. - Other social programs like a guide through our local foods and drinks, "out of season" parties like a different Carnival and trips to nearby coast cities may happen. Teresina is a very warm city (average temperature: 27 °C) with rain concentrated on the first 4 months of the year. Bring light clothes and a bathing suit.